The bathroom is one of the most personal rooms in any house. It serves the dual purpose of being a place for personal hygiene and a sanctuary for rest and relaxation. As a licensed General Contractor, we can manage the entire project from concept to completion, including all building permits necessary. Our Designers are Certified Aging in Place Specialists (CAPS) that can help you create a versatile design for any future needs. 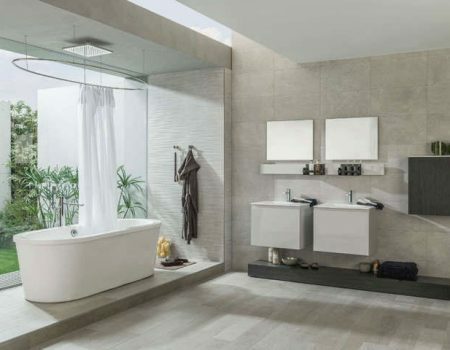 If you are working with your own contractor, Kanata Stoneworks can supply anything you need for your bathroom project, including all plumbing fixtures, tile, lighting, cabinetry, and counter-tops. Kanata Stoneworks partners with several leading manufacturers to give you state-of-the-art fixtures and features combining function and design. Visit our 12,000 sq. ft. showroom to view the available bathroom design options.